Be Prepared in Case of an Emergency? 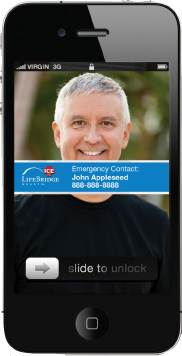 By downloading our NEW In Case of Emergency (ICE) PLUS smart phone app, you have the option to utilize a home screen emergency contact banner which is viewable above the lock screen. If you are in an emergency and can't communicate, the authorities or a health care provider can get in touch with your designated contact person. Our network of community physicians is also right at your fingertips. The ICE PLUS app provides a physician locator that will help you find the perfect match for your medical needs in your desired location. You can provide the names and phone numbers of two emergency contacts, a primary and a secondary contact. A photo can be included with their information. You also have the option to include one of the photos, with name and phone number, as a banner on your homescreen. In an emergency medical responders will need as much information about you as possible, especially if you are unable to communicate. By clicking the "Edit" button you can add a list of your current medical conditions. A list of current medications, including what you are currently taking and what you are allergic to, is vital for medical responders. By clicking "Please choose a medication" you can add your medications from a list supplied by the ICE PLUS app. By accessing a "List View" or "Map View," you can choose a nearby hospital or physician's office. Once you click on that facility name you can find out the following information: facility address, phone number, Google map driving directions and list of medical services. You will also access the names of the physicians located at that particular office. By going to this section of the app, medical responders can learn your full name, address, blood type and registered donor information. The ICE PLUS app will automatically pull in your information from the "Medical Conditions" and "Medications" sections. 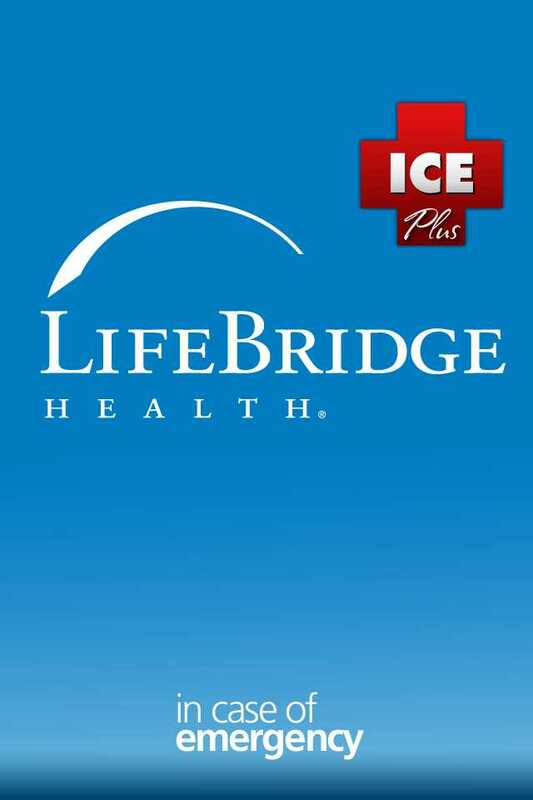 LifeBridge Health. The freedom to feel better.